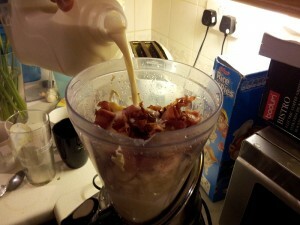 Some genius from the intertubes has invented a recipe for bacon milkshake!!! Me and friend Winni made some yesterday and it is tasty meaty goodness. Here are some action shots to go along with the recipe. 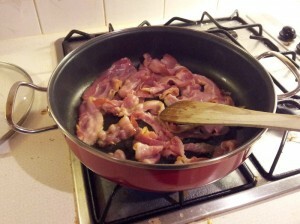 First step: fry the bacon! Bacon is the most important ingredient. We used one whole pack. 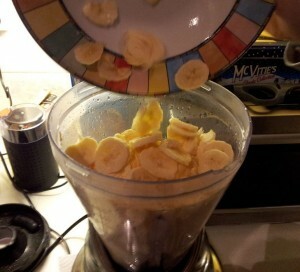 Put the ice cream and banana in a blender. Banana is to make it look healthy. 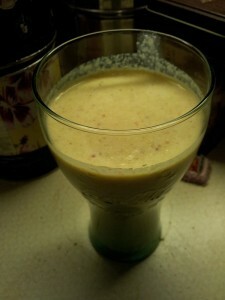 Put some bacon and milk into the blender. Probably need quite a bit of milk or it gets too thick. Some syrupy stuff is added around here too. 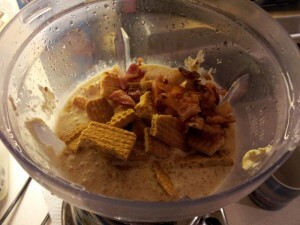 Add the rest of the bacon and some cow bisquits. 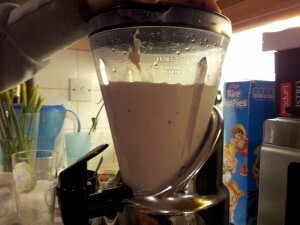 Then blend it all together again. Recipe suggests adding bacon fat here but we skipped that. Tada! The finished elixir! Filled with nutritious protein. Mmm.